Approximately 460 to 495 sq. ft. including balcony, the Vista Suite features a spacious cabin and aft-facing balcony. Enjoy exclusive suite-only upgrades and benefits. Premium accommodations and luxurious appointments are the signature of Princess suites. Suite staterooms include a spacious cabin and a large balcony, along with special suite-only benefits. All suites include a separate seating area with a sofabed, walk-in closet, full bathroom and deluxe amenities. The luxurious Mini-Suite offers approximately 323 sq. ft. of comfort and a separate seating area with a sofa bed for lounging or sleeping a third passenger. The spacious balcony is approximately 57 sq. ft. and the bathroom offers a combination tub and shower. Approximately 323 sq. 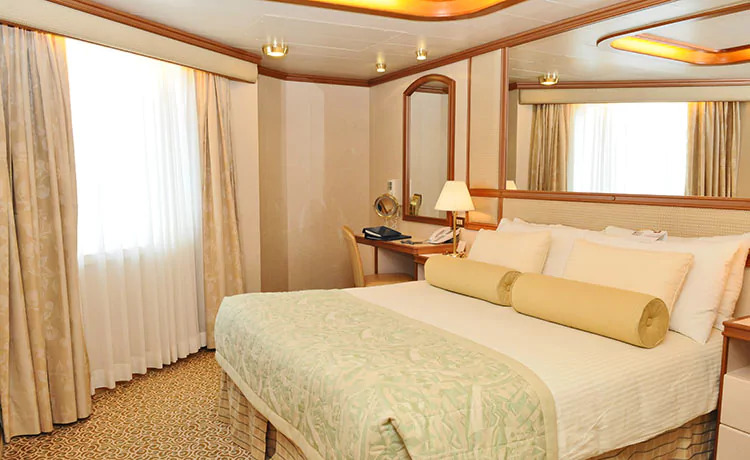 ft. including balcony, this spacious stateroom provides a seating area with sofa bed, and full bath with combination tub and shower. The Club Class Mini-Suite is a premium stateroom category featuring our very best Mini-Suite staterooms, as well as the great amenities found in all Mini-Suites — plus premier dining benefits and luxurious perks. Mini-Suites include a separate sitting area with sofa bed, premium bathroom amenities and two flat-panel televisions. Approximately 687 to 777 sq. ft. including balcony, the Owner's Suite features an expansive cabin and oversized aft-facing balcony. Premium accommodations and luxurious appointments are the signature of Princess suites. 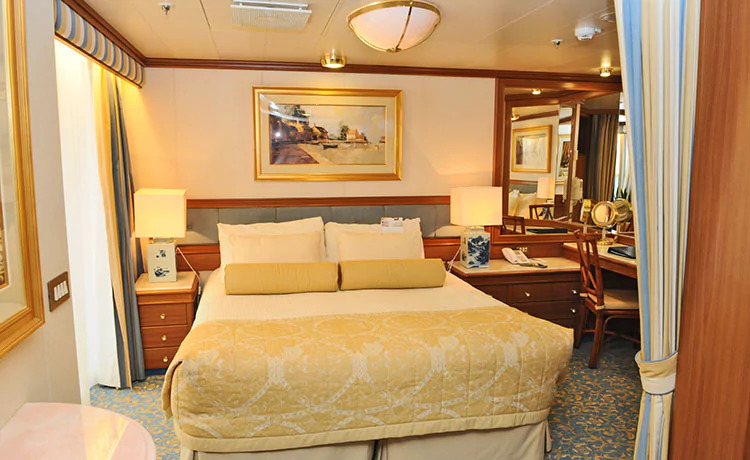 Suite staterooms include a spacious cabin and a large balcony, along with special suite-only benefits. All suites include a separate seating area with a sofabed, walk-in closet, full bathroom and deluxe amenities. Approximately 524 to 531 sq. ft. including balcony, the Penthouse Suite features a spacious cabin and aft-facing balcony. Enjoy exclusive suite-only upgrades and benefits. Premium accommodations and luxurious appointments are the signature of Princess suites. 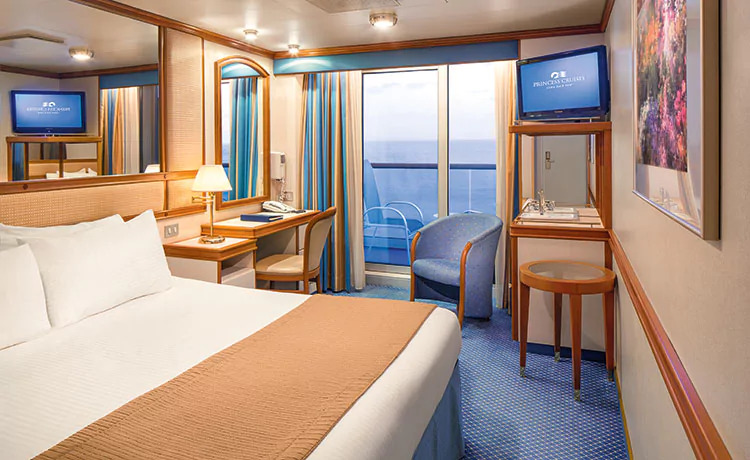 Suite staterooms include a spacious cabin and a large balcony, along with special suite-only benefits. All suites include a separate seating area with a sofabed, walk-in closet, full bathroom and deluxe amenities. Approximately 533 sq. ft. including balcony, the Penthouse Suite features a spacious cabin and separate seating area with a sofa bed. Enjoy exclusive suite-only upgrades and benefits. Premium accommodations and luxurious appointments are the signature of Princess suites. 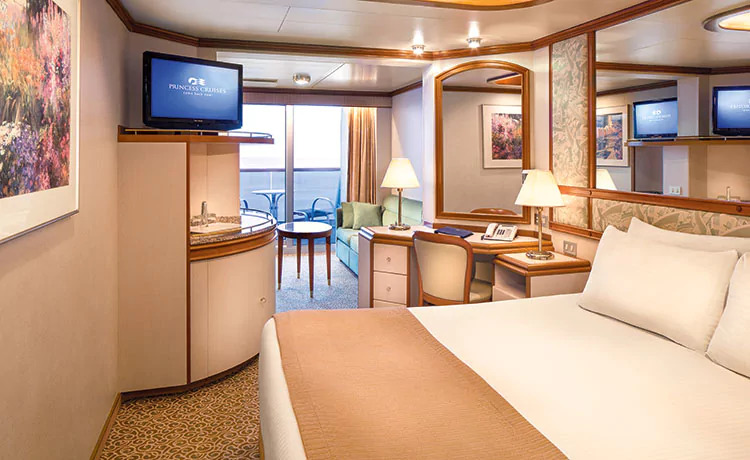 Suite staterooms include a spacious cabin and a large balcony, along with special suite-only benefits. All suites include a separate seating area with a sofabed, walk-in closet, full bathroom and deluxe amenities. Approximately 568 sq. ft. including balcony, the Premium Suite features a spacious cabin and separate seating area with a sofa bed. Enjoy exclusive suite-only upgrades and benefits. Premium accommodations and luxurious appointments are the signature of Princess suites. 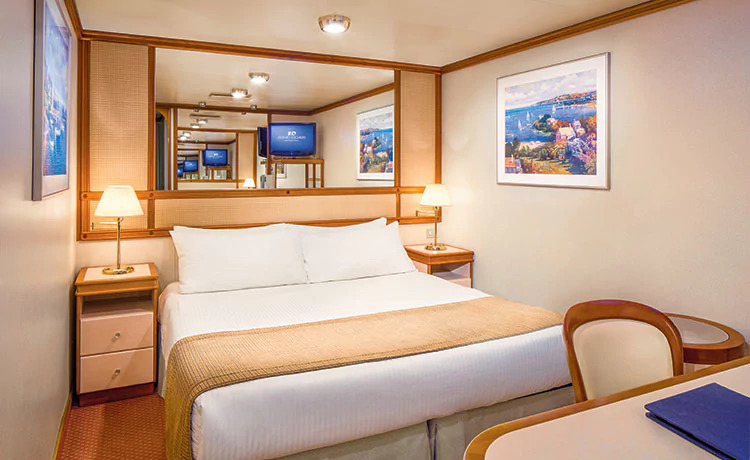 Suite staterooms include a spacious cabin and a large balcony, along with special suite-only benefits. All suites include a separate seating area with a sofabed, walk-in closet, full bathroom and deluxe amenities. Approximately 606 sq. ft. including balcony, the Two Bedroom Family Suite features 2 bedrooms. 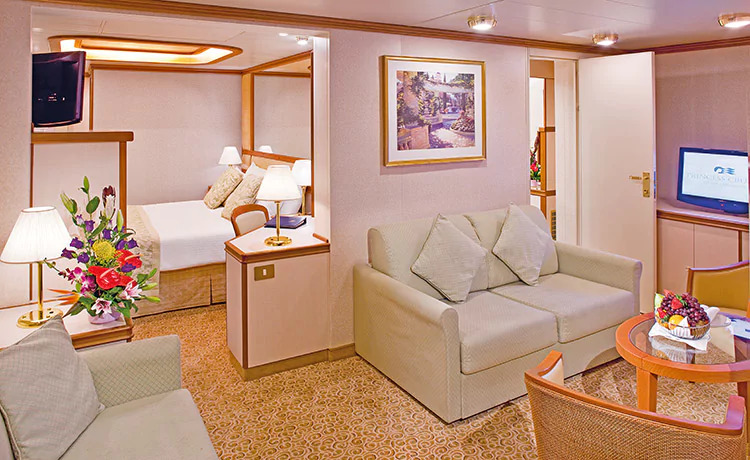 Family Suites are two interconnecting staterooms with a private balcony. Premium accommodations and luxurious appointments are the signature of Princess suites. 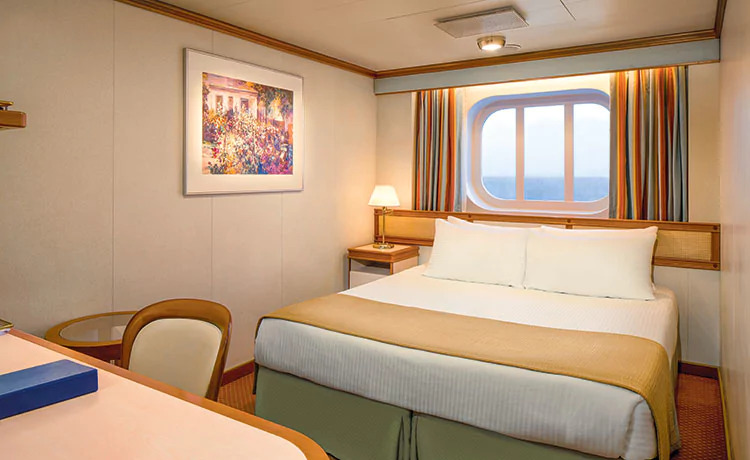 Suite staterooms include a spacious cabin and a large balcony, along with special suite-only benefits. All suites include a separate seating area with a sofabed, walk-in closet, full bathroom and deluxe amenities. The spacious 333 sq. 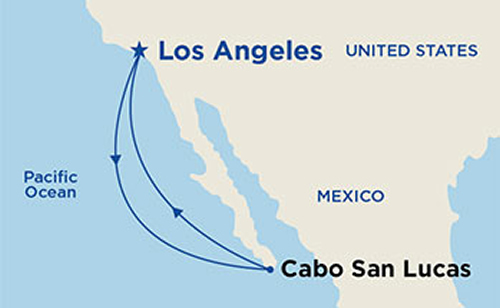 ft. (approximately) accessible Balcony stateroom is appointed with fine amenities and outstanding views from an 45 sq. ft. (approximately) private balcony. These features and fine amenities are standard in the Balcony stateroom: Balcony with patio furniture; Twin beds that convert to a queen-size bed*; Private bathroom with shower; Shampoo, conditioner, body lotion; 100% Egyptian cotton linens; Satellite TV, refrigerator, hair dryer, safe, closet, phone and desk; 110V, 60-cycle alternating current (AC) with standard U.S. plug fittings; Daily housekeeping service; Evening bed turn-down, chocolates on your pillow. *Due to some cabin configurations, the two twin beds may not convert to a queen size bed. The spacious 231 sq. 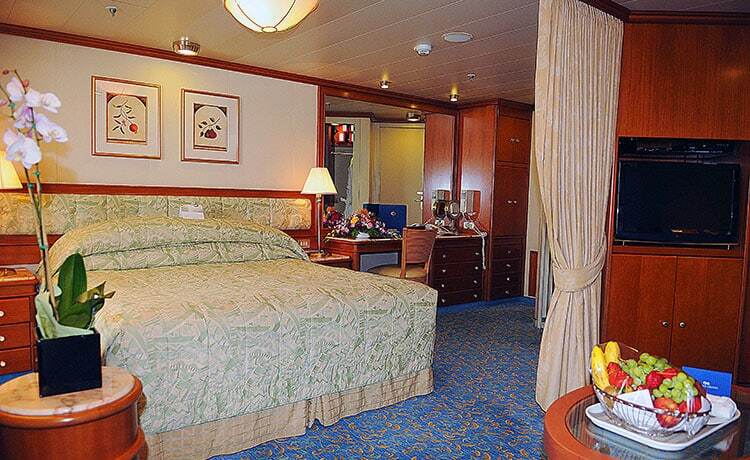 ft. (approximately) Balcony stateroom is appointed with fine amenities and outstanding views from an 45 sq. ft. (approximately) private balcony. These features and fine amenities are standard in the Balcony stateroom: Balcony with patio furniture; Twin beds that convert to a queen-size bed*; Private bathroom with shower; Shampoo, conditioner, body lotion; 100% Egyptian cotton linens; Satellite TV, refrigerator, hair dryer, safe, closet, phone and desk; 110V, 60-cycle alternating current (AC) with standard U.S. plug fittings; Daily housekeeping service; Evening bed turn-down, chocolates on your pillow. *Due to some cabin configurations, the two twin beds may not convert to a queen size bed. The spacious 240 to 298 sq. ft. Premium Balcony stateroom is appointed with the same fine amenities as our Balcony stateroom but also features a large balcony. Select Premium Balcony staterooms have a rear-facing balcony from which to enjoy dramatic wake views. These features and fine amenities are standard in the Balcony stateroom: Balcony with patio furniture; Twin beds that convert to a queen-size bed*; Private bathroom with shower; Shampoo, conditioner, body lotion; 100% Egyptian cotton linens; Satellite TV, refrigerator, hair dryer, safe, closet, phone and desk 110V, 60-cycle alternating current (AC) with standard U.S. plug fittings; Daily housekeeping service; Evening bed turn-down, and chocolates on your pillow. *Due to some cabin configurations, the two twin beds may not convert to a queen size bed. The Oceanview stateroom is approximately 179 sq. ft. and features a picture window for memorable views. The Oceanview stateroom is richly appointed with fine amenities. These features and fine amenities are standard in the Oceanview stateroom: Picture window Twin beds convertible to a queen-size bed*; Private bathroom with shower Shampoo, conditioner, body lotion; 100% Egyptian cotton linens; Satellite TV, refrigerator, hair dryer, safe, closet, phone and desk; 110V AC electrical outlet with U.S. plug fittings; Daily housekeeping service; Nightly turn-down service. *Due to some cabin configurations, the two twin beds may not convert to a queen size bed. The Oceanview stateroom is approximately 179 sq. ft. and features a picture window with an obstructed view. The Oceanview stateroom is richly appointed with fine amenities. These features and fine amenities are standard in the Oceanview stateroom: Picture window Twin beds convertible to a queen-size bed*; Private bathroom with shower Shampoo, conditioner, body lotion; 100% Egyptian cotton linens; Satellite TV, refrigerator, hair dryer, safe, closet, phone and desk; 110V AC electrical outlet with U.S. plug fittings; Daily housekeeping service; Nightly turn-down service. *Due to some cabin configurations, the two twin beds may not convert to a queen size bed. 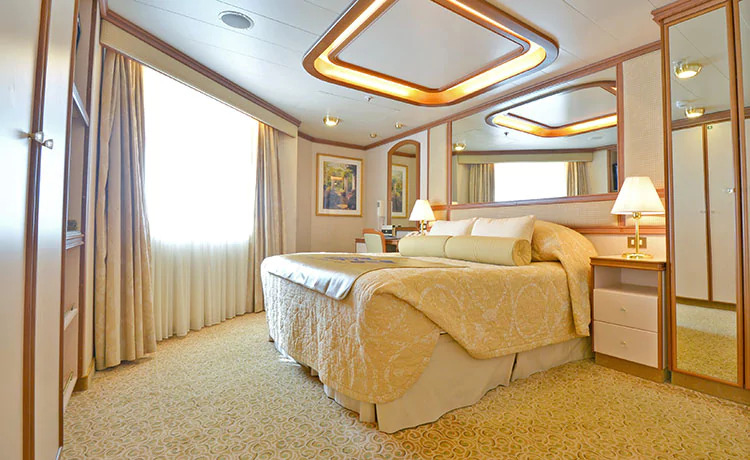 The Interior stateroom is approximately 162 to 182 sq. ft. and richly appointed with fine amenities. These features and fine amenities are standard in the Interior stateroom: Twin beds convertible to a queen-size bed*; Private bathroom with shower; Shampoo, conditioner, body lotion; 100% Egyptian cotton linens; Satellite TV, refrigerator, hair dryer, safe, closet, phone and desk; 110V AC electrical outlet with U.S. plug fittings; Daily housekeeping service; Nightly turn-down service. *Due to some cabin configurations, the two twin beds may not convert to a queen size bed.